Moving to the US? Thinking about switching from Nebido to something else, like Aveed or Testosterone Cypionate/Enanthate? Let’s take a look at your options. 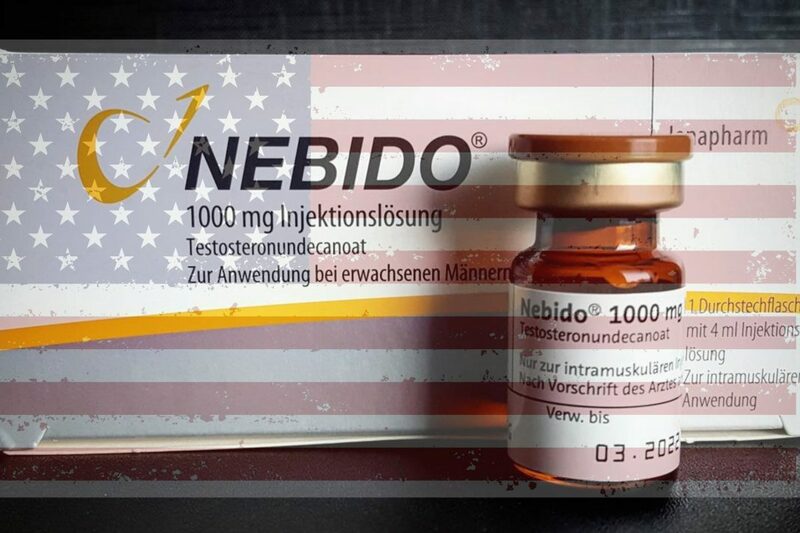 Nebido is a common form of testosterone prescribed for TRT called testosterone undecanoate. It is one of the most widely used forms of testosterone for testosterone replacement therapy in the UK, some countries in Europe, and even countries like South Africa and Australia. It is used for intramuscular injections and is a much longer lasting form of testosterone than most others. The recommended dosage is typically 1000mg every 10-14 weeks. Nebido itself is not available in the US, as a viewer has recently discovered. 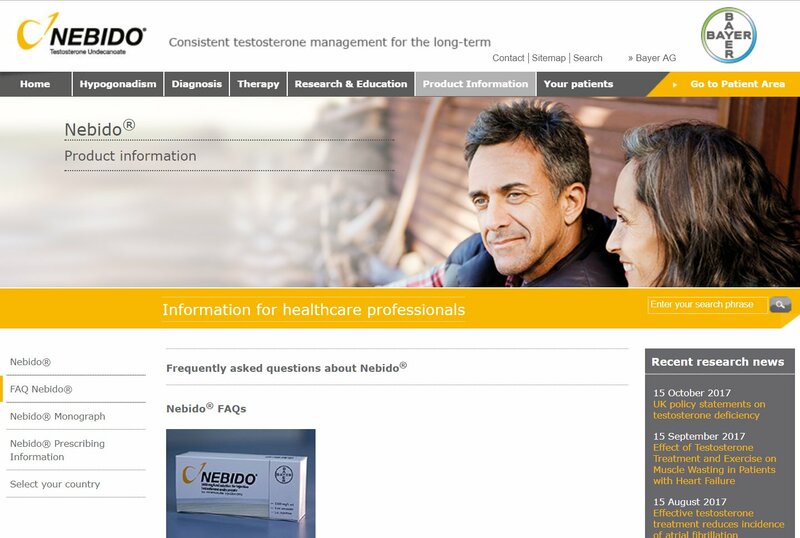 A few years ago, around 2014, Nebido was licensed in the USA by the FDA under the name “Aveed”. Aveed is pretty much the same as Nebido, being a long lasting form of testosterone called testosterone undecanoate. Nebido is typically sold as a 1000mg/4ml ampoule, whereas Aveed is currently sold as a 750mg/3ml ampoule. In essence, they are exactly the same when it comes to testosterone per ml. 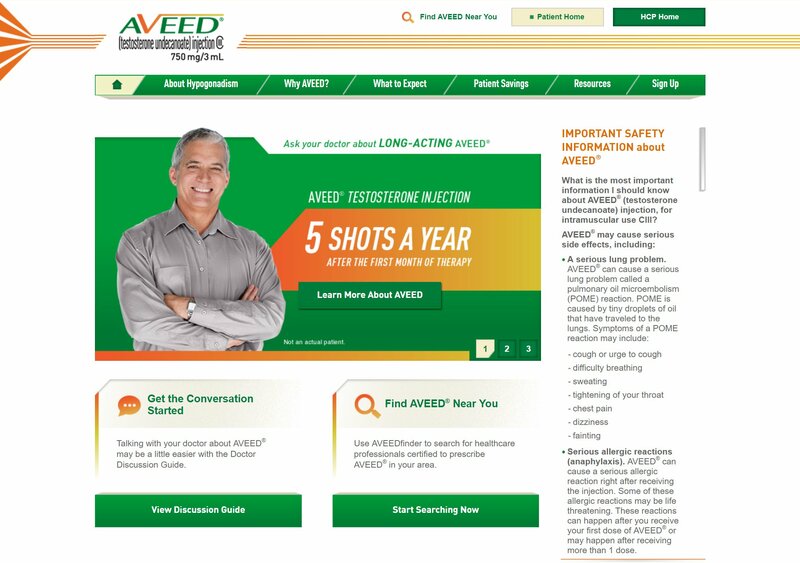 In order to find out if Aveed is available in your area, speak to your local doctor. You can also check the Aveed website to help you locate a medical professional certified to prescribe Aveed in your area. Another option available for those seeking an alternative to Nebido, or Aveed, is TRT with a different form of testosterone. 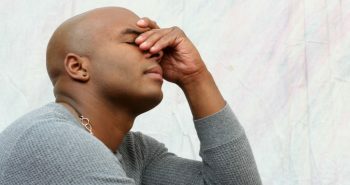 The most commonly prescribed esters are testosterone cypionate and testosterone enanthate, however there are others too. 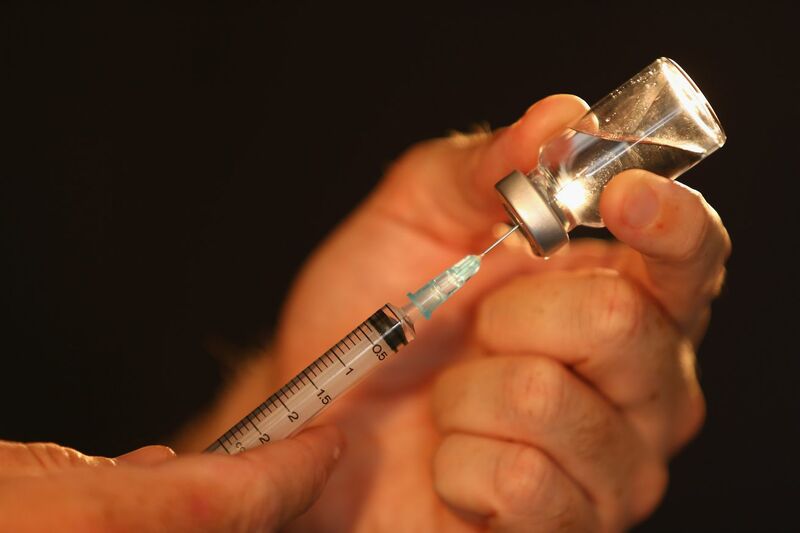 Cypionate and enanthate are shorter acting forms of testosterone, and are typically prescribed at a dosage of one injection of 80-200mg every 1-2 weeks. Dosage is naturally dependent on each person’s situation and the doctor’s prescription. The advantage to picking these shorter acting testosterones is that you usually get a more optimal dose of testosterone with each injection. Also, you decrease the odds of going through a “crash” in between injections. The disadvantage, when compared to Nebido/Aveed, is that you need more frequent injections. This is not the end of the world in my opinion, and the pros far outweigh the cons, from my experience. If you’re like me, then you may be hesitant to move away from Nebido – especially if it works well for you. This is natural. Why change something that works, right? However, you may also be forced to change if you are unable to find Aveed in your area. Don’t let switching bother you though. In my opinion, this may actually be for the best. As detailed in the section above, by switching over to a shorter-acting testosterone like cypionate or enanthate, you may actually get more bang for your buck. Your injections may likely decrease in cost, while giving you a more optimized dose. You may also avoid the “crashes” caused by the dips in between injections, which is more commonly experienced on Nebido/Aveed. This naturally depends on the doctor you work with. If you’re moving to America, speak to your local doctor about Aveed, or try locate a Aveed-certified professional in your area. If that doesn’t work, then consider talking to your doctor and asking to switch to testosterone cypionate or enanthate. If they are unable to assist you, ask for a referral to someone that can. If none of these options are available, then talk to your medical professional about other alternatives. There is no need to go without treatment – there are options available! DISCLAIMER: I AM NOT A MEDICAL DOCTOR. THE INFORMATION IN THIS INFORMATION IS FOR EDUCATIONAL AND INFORMATIONAL PURPOSES ONLY – PLEASE ALWAYS CONSULT YOUR DOCTOR BEFORE TAKING ANY MEDICAL ACTION REGARDING YOUR HEALTH. When you were on nebido for a time and it had stabilized, do you remember how many days went by before you felt the next injection kick in? I will also be publishing a post on this topic on this blog later this week. I would not do that. 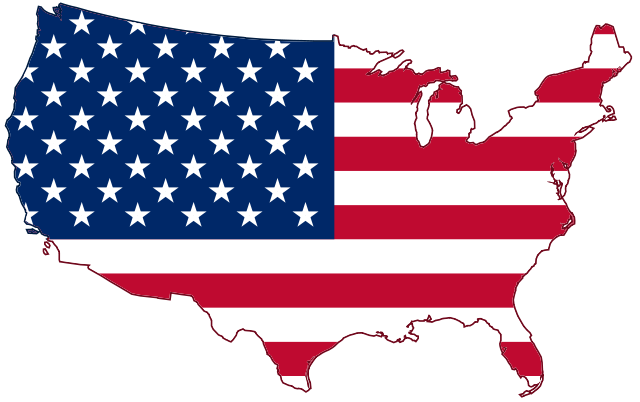 The US has strict laws on controlled substances. It’s ultimately up to you, but be aware that you’ll be taking a massive risk. Perhaps at age 80, that’s no as much of a concern for you though? I would love to tell you to rather look for treatment at a doctor once you get back into the US, but we all know how fucked up the medical system is over there too. That being the case, I would still probably try and get it legally.